The WPS BC200-2 automated parking system was the first to use state-of-the-art barcode technology. 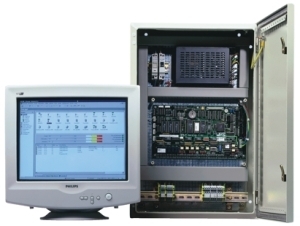 Introduced in 1989, the WPS BC200-2 system offers many advantages including low maintenance costs and exchangeable components. WPS Parking Systems is dedicated to developing systems with flexible software and hardware that consists of superior quality components and materials. Divided into modules, the BC200 system software package can be tailored to meet the needs of various market segments including hospitals, hotels, parking operators / management companies, airports, municipalities or shopping malls. WPS delivers customized parking solutions that accommodate even the most elaborate operations with several options for access control, invoicing, discounts and reporting. 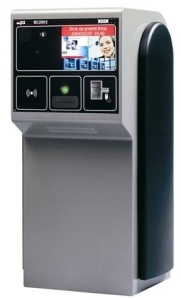 The WPS BC200-2 system offers convenience with the integration of several types of access control readers including long range readers and proximity. The machine readable BC200 2 entry terminal is the controlling device at the entry to an off-street parking facility and processes daily tickets and subscriber cards. Thermal print-at-issue barcode technology provides a contactless ticket environment that ensures a highly reliable ticket read rate. 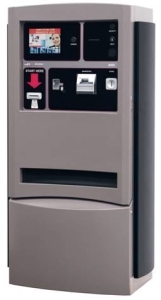 The machine readable BC200-2 entry terminal is the controlling device at the entry to an off-street parking facility and processes daily tickets and subscriber cards. Thermal print-at-issue barcode technology provides a contactless ticket environment that ensures a highly reliable ticket read rate. The machine readable self serve pay on foot station is the automatic payment device located strategically around the parking facility to enable parkers to pay the fee due before returning to their vehicle. The customer friendly terminal guides users step-by-step through the payment transaction. The pay on foot station interfaces with the BC200 2 entry terminal and express exit terminal as part of a complete on-line revenue control system for your parking facility. The central data registration system is the central control station through which the PC manages, controls and programs the wide range of functions available in the BC200-2 parking control system.